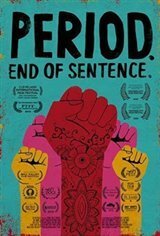 This film follows girls and women in Hapur, India and their experience with the installation of a pad machine in their village. One young woman, SNEHA, tells her dreams of becoming a police officer. Another girl discusses the taboo of menstruation, the importance of education, and how she had to drop out of school when she got her period. Soon, all of the women we meet are determined to work on the pad machine (which will earn them more money than their prior work in the fields), and to create a micro-economy to support themselves for the very first time. As the inventor of the machine, Murugananthem, says: "The strongest creature on earth is not the elephant, not the tiger, but the girl."